Namaste! I can't believe we are half way through our first semester! We took a very special adventure to India this week. I say very special because, on a personal note, my brother in law has been in India for eight months for work and returned home on Saturday!! 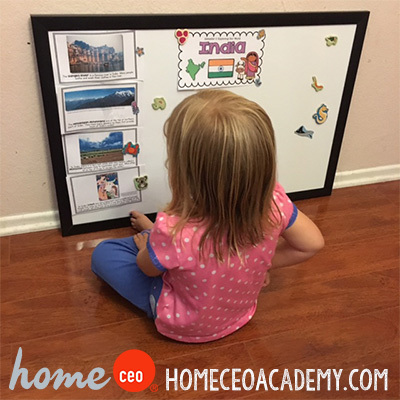 India is week 6 in our 12 week Exploring Our World curriculum bundle that is available for purchase here. 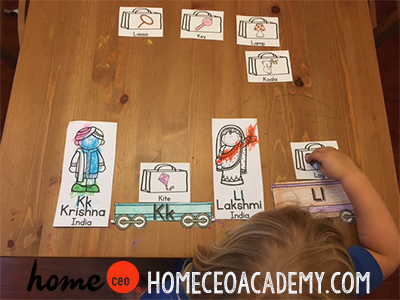 The colors on the vocab cards for our India theme board really struck me. How vibrant! Kylie particularly enjoyed learning the word monsoon. We live in California and have been in the midst of a terrible drought since before she was born. "Momma, that sounds like they would need a really big umbrella!" Our wake up, warm up language lessons this week focused on reviewing letter sounds. 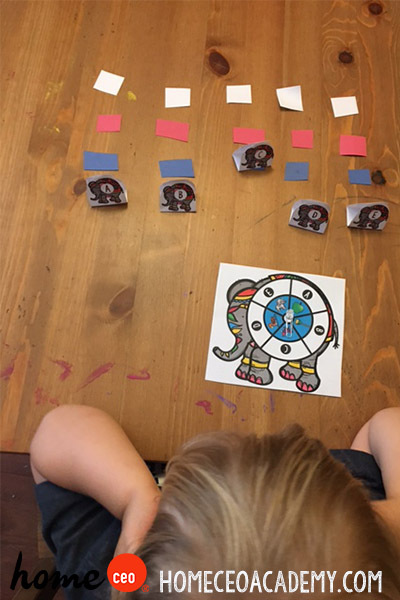 We played this cute elephant race game and reviewed A-E sounds on our first day, and F-J sounds on our second day. I dare you to name me a preschooler that doesn't love a game with a spinner! Our wake up, warm up math lessons continued with even longer patterns. 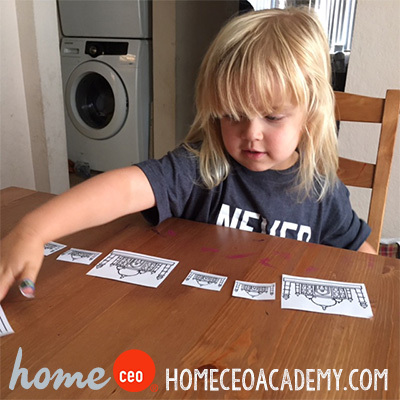 **Home CEO Hack** Do you have a high flying preschooler? 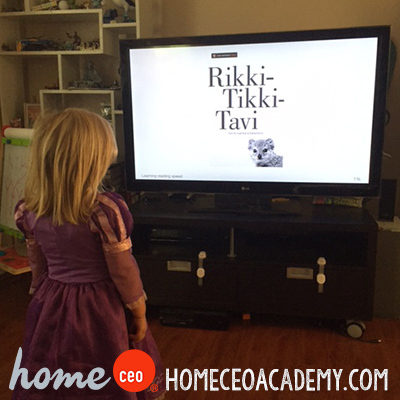 Instead of a basic big, little, big pattern, try upside down, right side up! Or sideways and flat! Keep your little one on his or her toes! All aboard the letter sound train! We met Krishna and Lakshmi this week. "Keys are important luggage," Kylie noted. I loved this math exercise! I asked Kylie to make patterns with our letter sound train friends and she had so much fun! I could see the wheels turning in her brain as she said "pink Lakshmi, orange Laskimi, pink Lakshmi." Patterns are the building blocks to early math literacy. 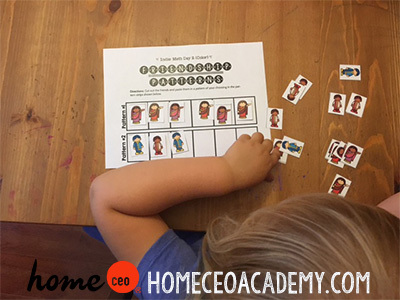 It may seem like our children are just making "pink, orange, pink" patterns, but soon that will turn into skip counting, counting coins to make dollar bills, and measuring in inches and feet! 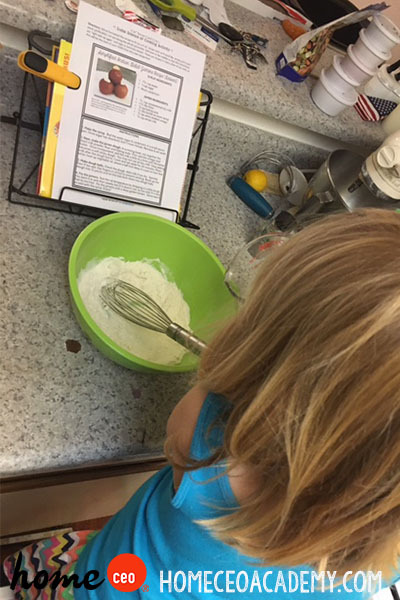 Our cooking activity this week was delicious! One of my favorite things about homeschooling and Montessori learning is having the ability to extend the lesson when something strikes your little learner. After smelling the cardamon, Kylie was very interested in smelling other India spices. We smelled curry, garam masalla, turmeric, and coriander. I tried something new this week with our books. I was just about to order Rikki-Tikki-Tavi by Rudyard Kipling on Amazon when I noticed it was available as a free download on the Kindle! We have an Apple TV, so I download the book onto my Kindle app and then used the Air Play feature on my phone to send it over to the TV. Kylie loved it! 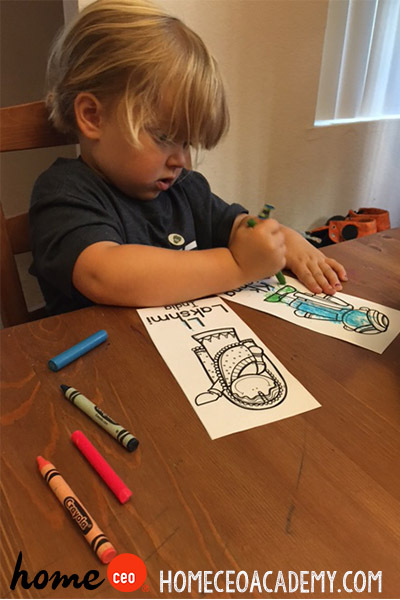 Don't forget to have your child add the new pages to their travel journal. 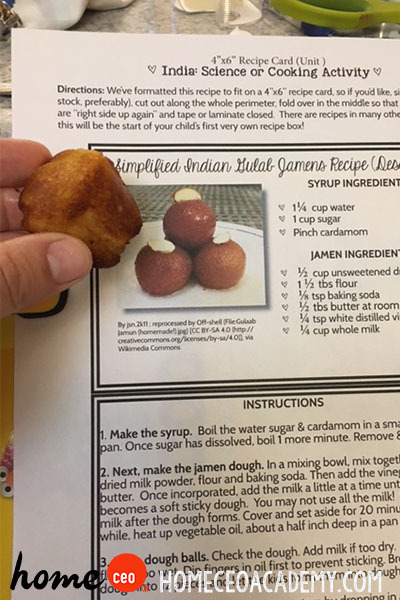 I truly hope everyone has as much fun with the India unit as my daughter and I had! If you would like to join us in our around the world learning adventure, check out our 12 week Exploring Our World Bundle here. We are off to Egypt now! See you all next week!